With the Diamond Jubilee Celebrations in full swing, I remembered I had a panel tucked away to make a union jack cushion for my boy's bed. I bought this panel at Spotlight and used some op shopped denim for the back, making a simple envelope closing. I cut the panel down a little to make it an oblong shape so I had to make an insert to fit. 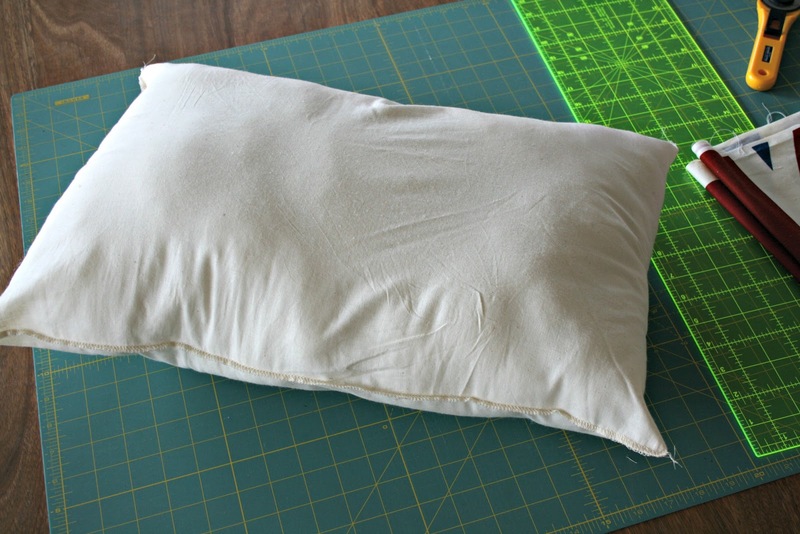 The insert was made using some calico and a bag of filling. I probably need to make a slightly bigger insert as I like my cushions plump. For now, it will suffice. Have you been watching the Jubilee celebrations? Did you love Kate Middleton's STUNNING outfit as much as I did? Did you know that you can send a message to The Queen? Do you think she reads them? 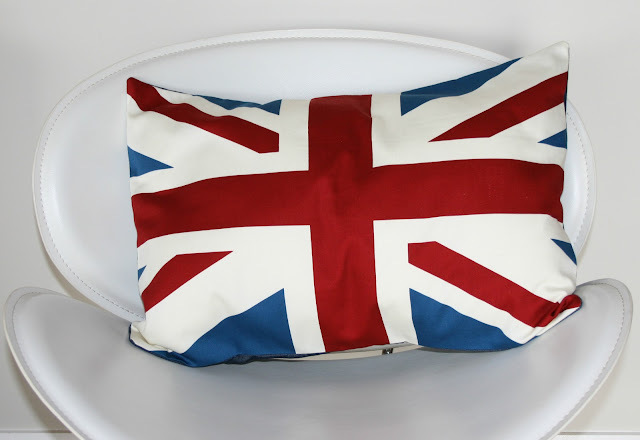 Would you like to make your own union jack cushion? Great! I have a panel to give away. Just leave me a comment below. Just say hello if you like. Open to EVERYONE! Will draw a winner at the end of the week okay? Lea your union jack pillow is so cool and looks fantastic!!! I loved Kate's outfit too...so beautiful! Hello! love your cushion, it's super! ps. thanks for the "snaps" I love them, have the three kiddos on the fridge and it makes me smile everyone time I open it, which is an awful lot. Oh, Auntie Dot got a message from the Queen and Mr Obama for her 100th! That cushion is so cool, well done!